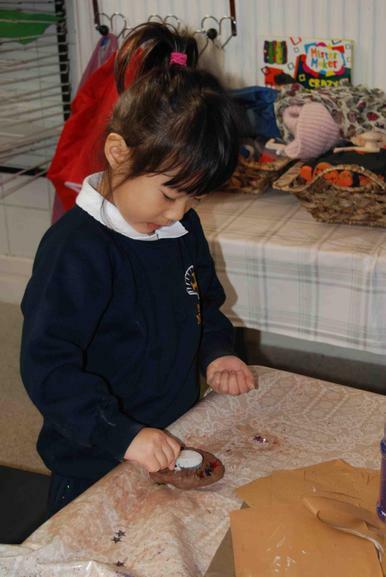 The children made Rangoli patterns using chalk in the outdoor play area, just like the patterns we saw on cbbees. 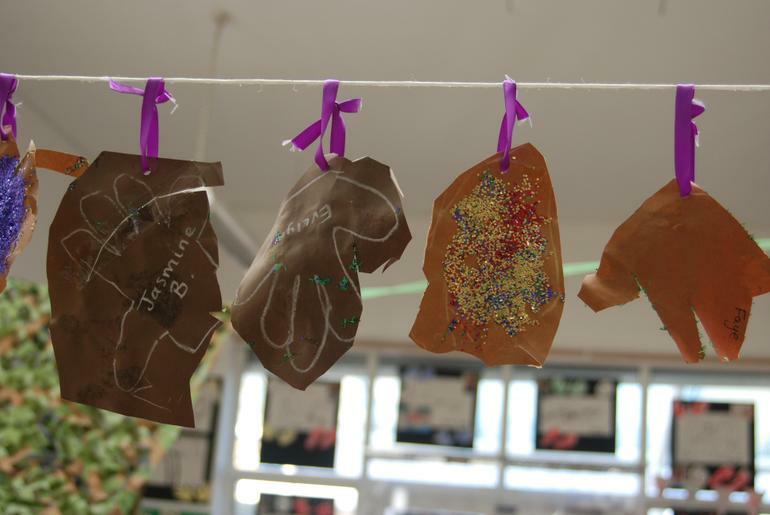 Some children wrote their names, others made stars, flowers, shapes and drew their family. 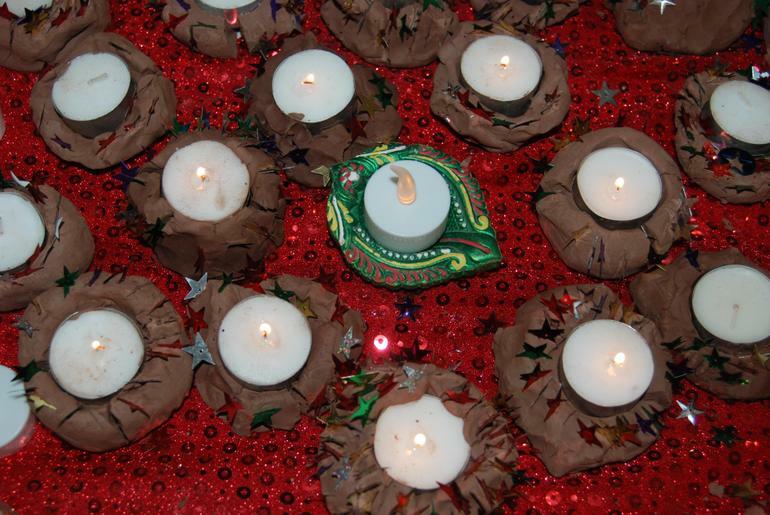 The Diva lamps were made from air drying clay. 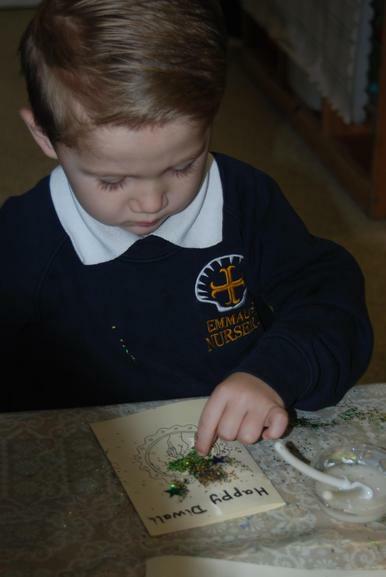 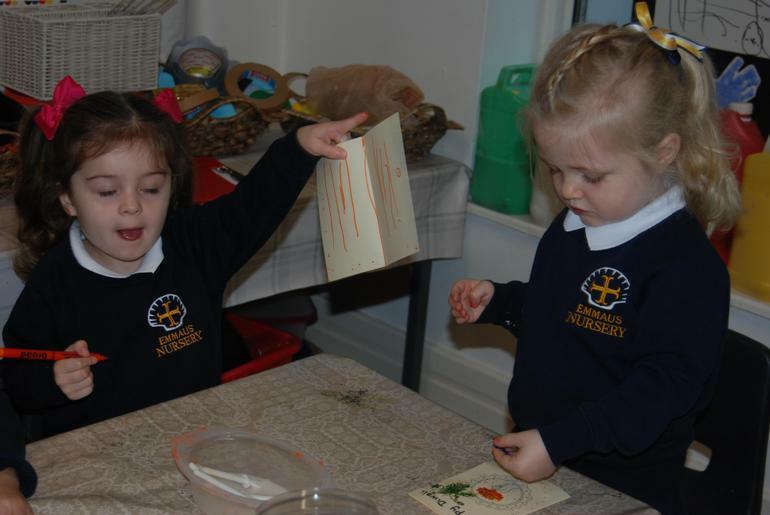 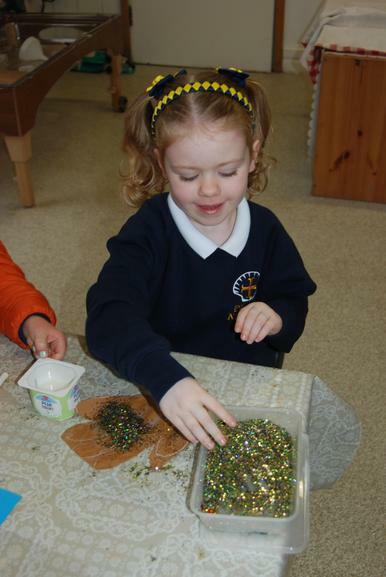 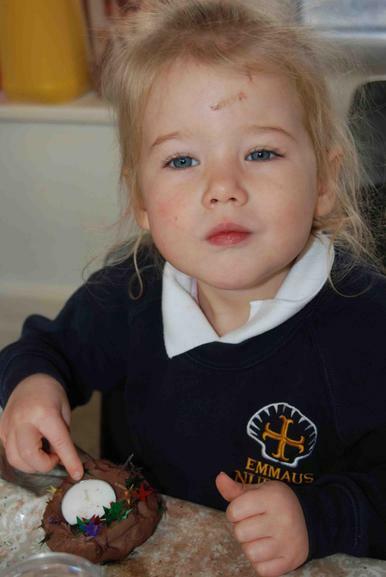 The children decorated them using stars and sequins. 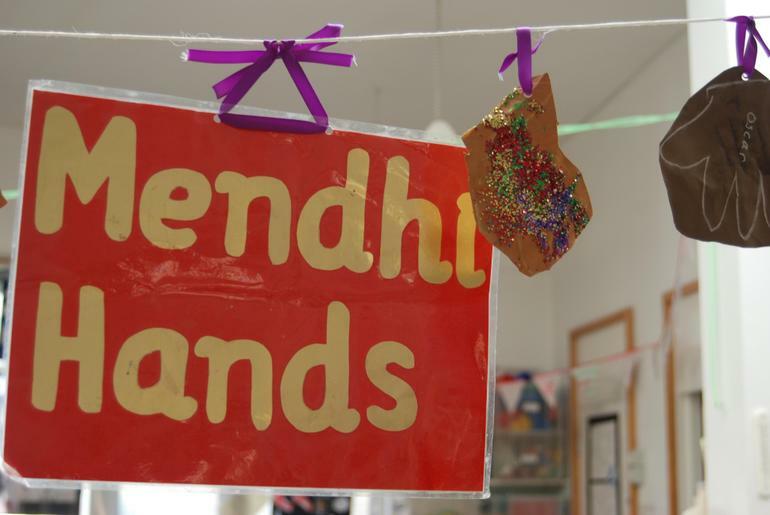 The children drew around their hands and cut them out; they decorated them to make Mendhi hands. 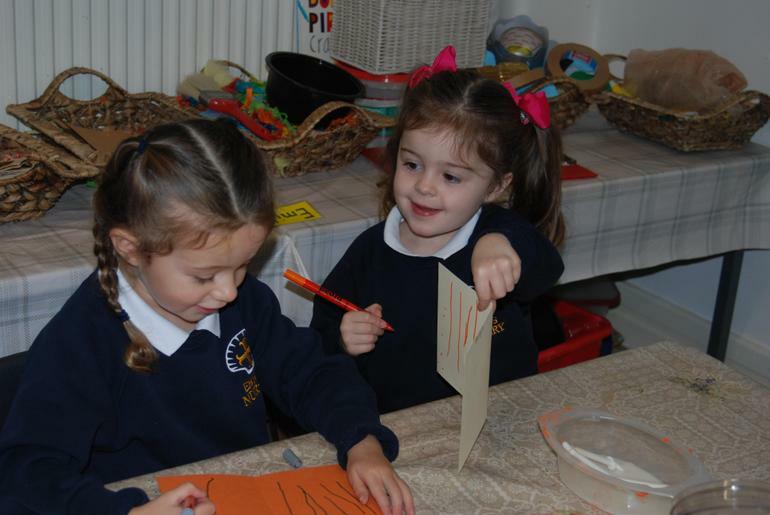 Many children wanted to dress in up in traditional costume and colourful fabrics. 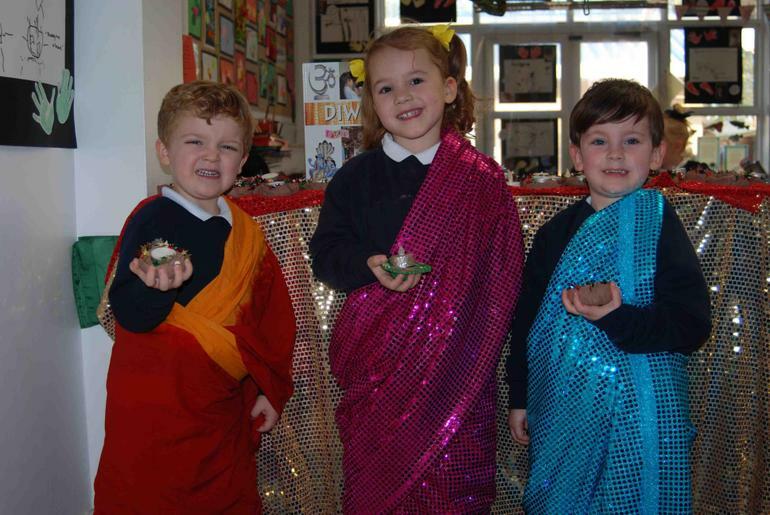 We joined in with a song about Diwali the festival of lights and watched a video about a family celebrating Diwali. 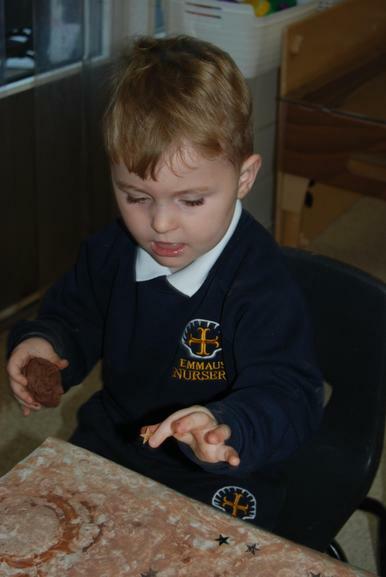 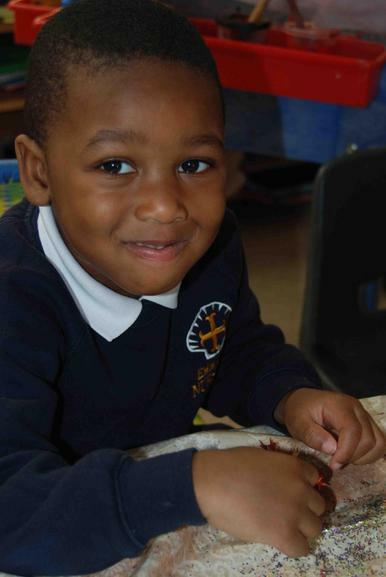 We enjoyed tasting naan bread, poppadoms, onion bhajis, vegetable samosas and mango chutney at the Nursery Diwali party too. 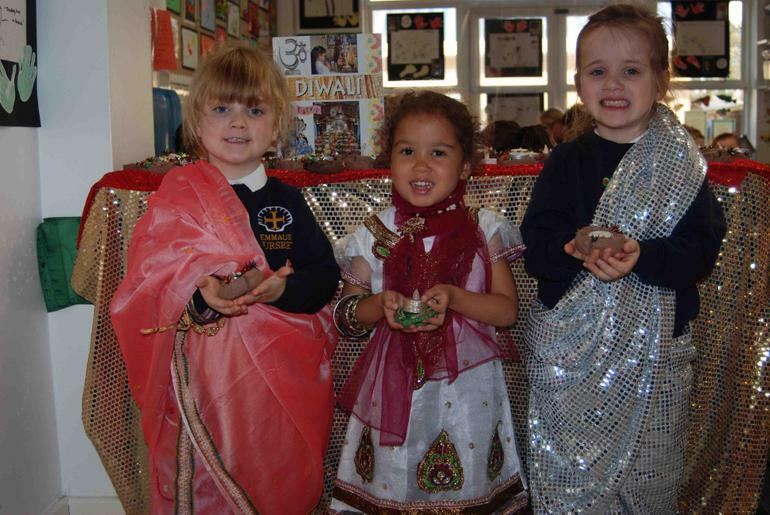 Diwali Song We have enjoyed singing along to the Cbbees Celebrating Diwali Song.